Despite securing a successful career in marketing before the age of 30, Annie Chbat knew there was something missing from her professional life. She had chosen to take marketing at Concordia, an English university in her hometown of Montreal, without much thought about the future. As she moved through her four-year bachelor degree, that feeling of disinterest never went away. After graduating in 2010, Annie began working in the field of marketing, securing positions at large reputable companies like Morneau Shepell and LaSalle College. However, her heart still just wasn’t in it. When her and her partner moved to Vancouver in 2014, she quickly found a marketing job to keep her afloat financially. They clicked instantly and through their conversation, Annie learned about the benefits of career coaching and realized it was a great option for her. 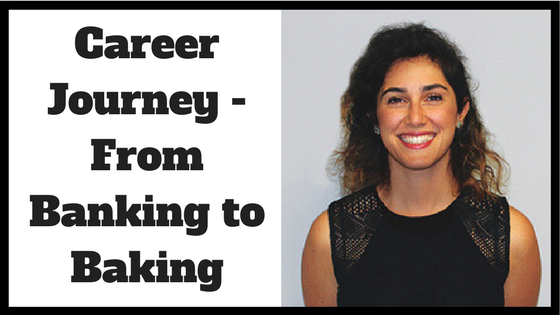 The two began working together right away, starting out with soul-searching and really helping Annie understand what pushes her to choose the career path she had taken up to this point. Benedicte helped resolve these past issues by helping Annie change the vocabulary she used to define herself and her choices. She also gave her small challenges to work on every week to help her break through personal barriers, such as fear of speaking up due to her French accent. Annie admits that, although it wasn’t easy to see the bigger picture at first, these weekly exercises began to come together and really give her a clear understanding of herself, her core values and what she stood for — which proved to be the opposite of what she was currently doing. After making this revelation, things began to fall into place for Annie. With a clear mind she was able to hone in on her options and channeled her passions. Back in Montreal, she had dreamt of opening up a vegan restaurant. However, the timing didn’t make sense, as she was still fairly young and inexperienced, so she disregarded this dream. She connected with a friend of hers who was in the same boat — unsatisfied with her career prospects and looking to transition into something that resonated with her more that her chosen field of study. So, JoyFuel Snacks was born. The pair jumped into it and began developing their company. After the summer markets ended, the two entrepreneurs had time to really work on their business plan, taking what they had learned and using it to take their business to the next steps —expanding to a permanent commercial kitchen and distributing in different grocery stores. Throughout the coaching process it became clear to Annie that her previous experience had led her to where she is now, despite her feeling lost at times in her former career. In fact, the skills and experience she gained through her marketing education and training made things a lot smoother when she started JoyFuel Snacks and her side venture, Lashified. Are you looking to hire a career coach to help you transition into a career you love? Connect with Benedicte Flouriot or browse our directory of career coaches and request a free consultation!